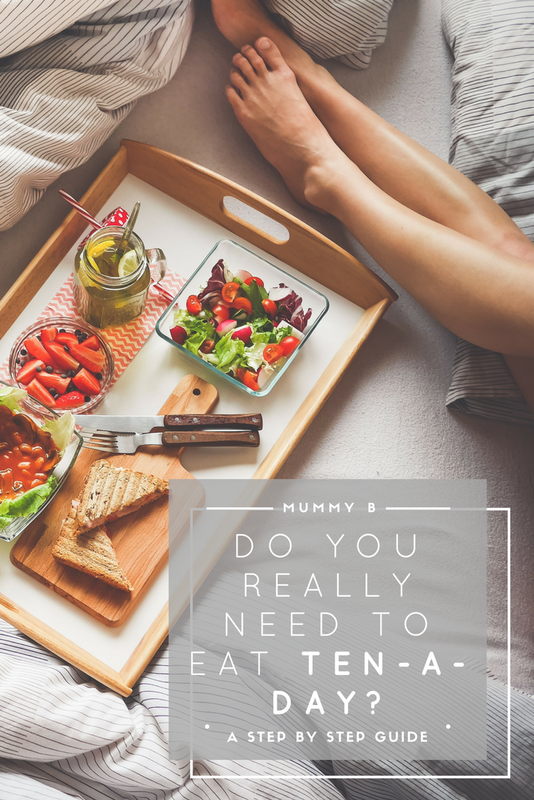 Do you really need to eat 10-a-day? Yes, we all know about 5-a-day, but do we know where this number came from, how much is one portion, and what are the benefits of eating 5-a-day or even 10+ per day? Let’s start at the beginning, where did the 5-a day message really start. 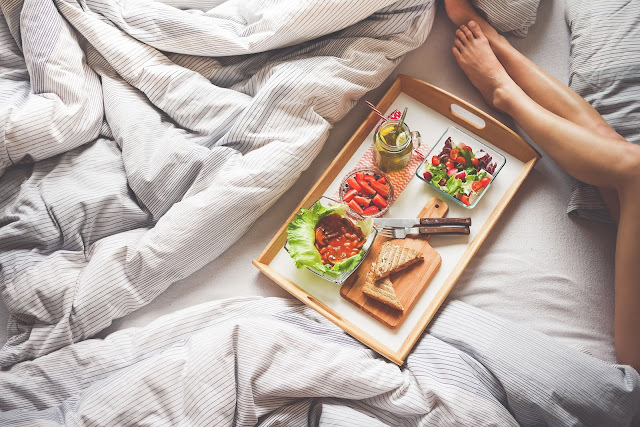 The World Health Organisation published an article in 1990 following a review of clinical data which suggested the more fruit and vegetables people consumed, the lower their risk of cancer, heart disease and strokes. They set a lower limit of 400g per day – no upper limit was set. The 400g per day does not include potatoes. The NHS website suggests valid reasons for including fruit and vegetables each day in our diet – they are a fantastic source of vitamins and minerals and are a great source of fibre which helps to prevent constipation, maintains a healthy digestive system, and reduces the risk of bowel cancer. Fruit and vegetables also help to fill you up, and being low in calories and fat they are beneficial for managing body weight. Fruit and vegetables don’t need to be fresh. It can be less expensive to buy frozen which is just as valuable from a nutrition point of view. Canned fruit are also acceptable but check the juice – the natural juice is fine, but try not to choose one in sweetened juice/syrup. Dried fruit also counts towards 5-a-day but from a balancing sugar perspective limit dried fruit to no more than one heaped tablespoon and combine it with some nuts or seeds to slow down the speed the sugar is released into the bloodstream. Juices and smoothies can be a little controversial. Nutritionists will generally suggest limiting fruit to no more than two pieces per day (although fruit is natural, it is still sweet) so keep this in mind when making juices and smoothies. Including one or two items in a juice or smoothie is a good idea combined with some vegetables ( a good handful of spinach or kale, or ½ an avocado). There is very little fibre in a juice, and slightly more in a smoothie. If you would like to increase your fibre in your diet the best way to consume fruit and vegetables is eating them without processing in blenders and juicers. If buying fruit juice try to make it unsweetened 100% fruit/vegetable juice and limit the amount to 150mls per day. The recommended portion size for adults is 80g. Examples include: two plums, two satsumas, two kiwi fruit, seven strawberries, one apple, one banana, one pear, one orange, ½ grapefruit, three heaped tablespoons of cooked vegetables, four heaped tablespoons of cooked kale or spinach, three sticks celery, 5cm cucumber, one medium tomato, seven cherry tomatoes, three heaped tablespoons of beans. Dried fruit portion size should be smaller and approx. 30g e.g. one heaped tablespoon of raisins, two figs, three prunes. * Take a salad in a container to work and include some protein (meat, fish, cheese, eggs) and a salad of mixed colours and textures. Salad dressing olive oil with balsamic vinegar. * Choose a variety of colour with at least two type of vegetables approx size of your fist. Blitz these into a sauce with some tomatoes if you have fussy eaters. Do we really need to eat 5+ per day? Researchers at Imperial College London collected data on 95 studies and identified eating 10 fruit/vegetables per day would prevent more premature deaths each year. Specifically, they identified green (spinach), yellow (peppers) and cruciferous vegetables (cauliflower) lowered the risk of cancer, apples, pears, citrus fruit, salads, green leafy vegetables and cruciferous vegetables lowered risk of heart disease and strokes. Eating 2.5 portions a day (a total of 200g) cut the risk of cardiovascular disease by 13% and cancer by 4%, but 10 portions per day (800g) reduced the risk of cardiovascular disease by 28% and cancer 13%. I hope you found these meal suggestion tips helpful in getting you to 5+ per day and we welcome your comments and tips.